Providing you the best range of cast iron motor pulley, split type groove pulley, v belt pulley, split type flat belt pulley, taper lock pulley and casting v belt pulley with effective & timely delivery. 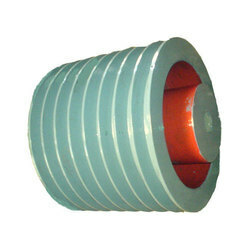 We are known as foremost manufacturer, exporter and suppliers of supreme quality Split Type Groove Pulley that is made available in various customizations and control mechanisms. 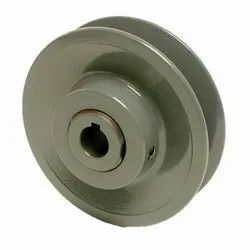 This groove pulley is developed with utmost excellence; the offered groove pulley is extensively demanded among various industries for its design & quality. The groove pulley is properly inspected for its performance & quality by our quality experts. 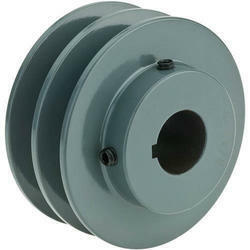 Our honored customers can take this groove pulley in bulk quality within a given time frame. 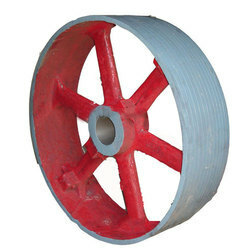 V Belt Pulley are mainly used in Enhancing or Reducing the Speed of the Torque. Generally it gives the links towards two or more Revolving or Rotating Shafts. 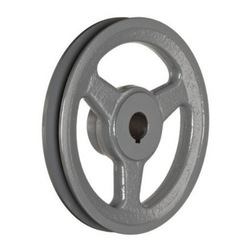 V Belt Pulley is also used to solve the Slipping Problem and Alignment Problem. 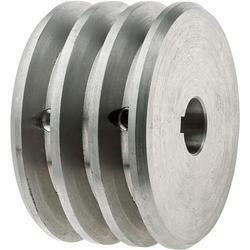 With the help of our professionals, we are offering a broad range of Split Type Flat Belt Pulley. 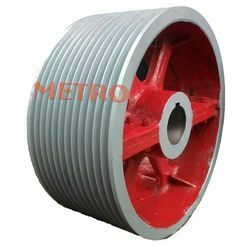 The offered split type flat belt pulley is brilliantly designed by using best-unfinished material and latest machinery under observation of our professionals. 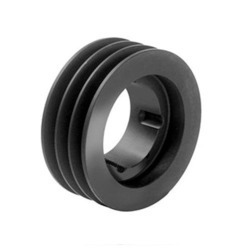 The split type flat belt pulley offered by us is provided in different dimensions & several packaging options also can be personalized according to the customers need without any problem.